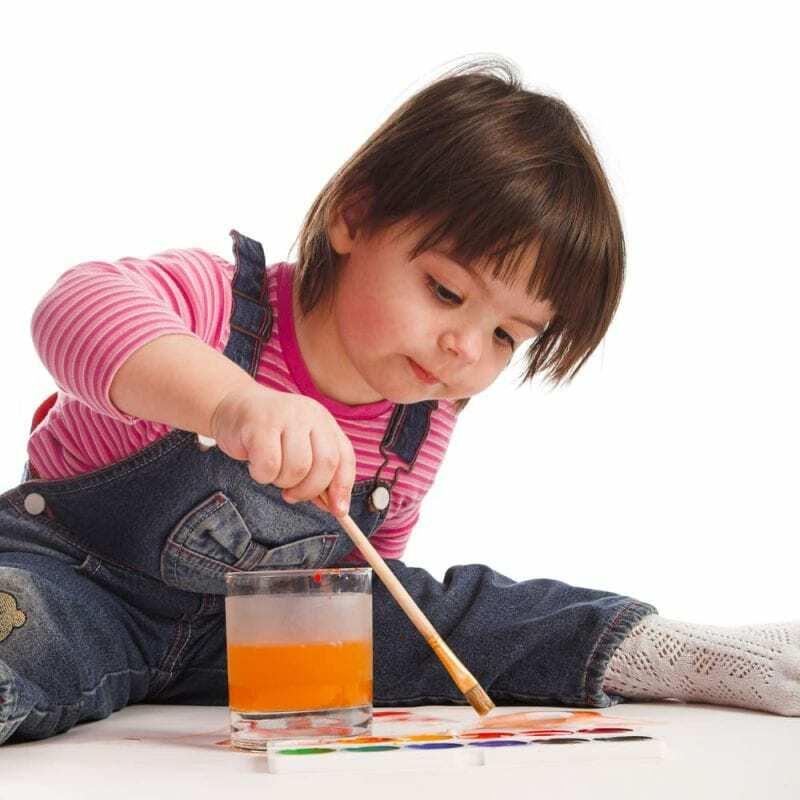 Art projects can help toddlers and young children develop their fine motor skills; learn to follow directions; and understand spatial awareness concepts, too. Does the term spatial awareness have you scratching your head? It’s not as complicated as it sounds. Spatial awareness is about understanding the self and the relationship between objects in a given space. That still sounds really complicated until you know that spatial awareness is all about little words like on, off, under, over, in, out, down, up, side, front, and back. So what does all this have to do with art? Little does she know that while she’s having fun, she’s developing her fine motor skills and spatial awareness. “Talking about what you’re doing while you play is a great way to reinforce concepts and build vocabulary,” says Finnegan. And that’s what you’ve just done. You’ve just used art to show your child what “back and forth” means, a basic spatial awareness concept and you’ve used words to reinforce the lesson. Take it one more step forward by asking your child to tell you what she is doing. 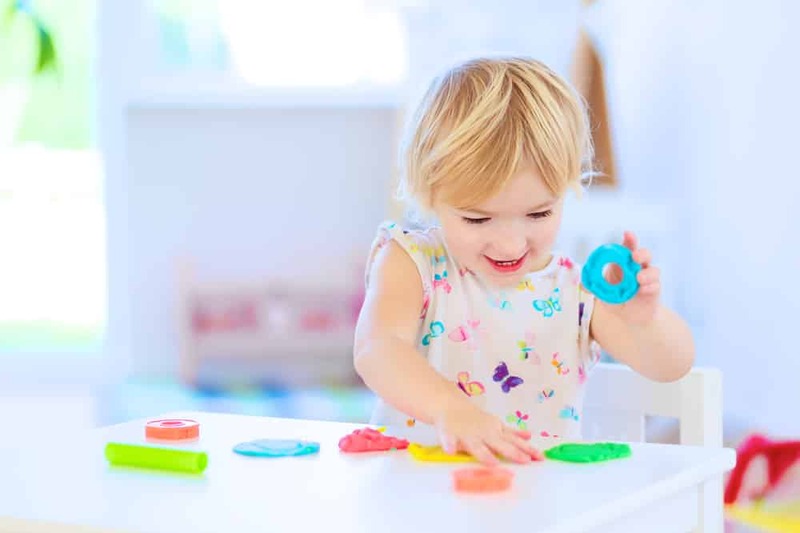 If she needs help, tell her, “You are rolling the playdough back and forth on the table,” then ask her to tell you what she is doing. Continue to show her how to roll the playdough and to say in words what you are doing with the playdough. See if you can get her to describe what she is doing in words (“back and forth”). She’d paint all day if you’d let her. And why not? She’s developing the skills that will help her learn to write. 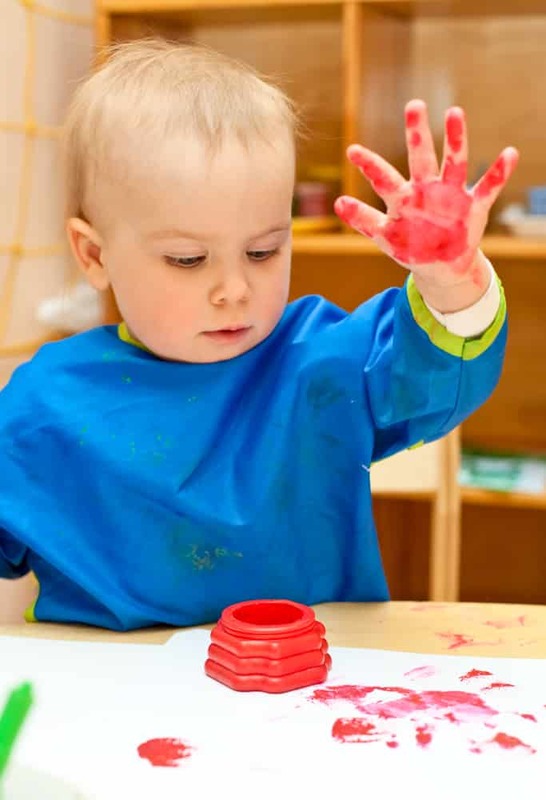 A toddler will be fascinated by his own handprint, made with fingerpaint. If she needs help, you can say it again, “You’re rolling the playdough from side to side,” and then ask her to repeat it. Don’t push if the child becomes impatient. Let her just explore the playdough and have a good time. She is still learning, even if she doesn’t realize it at that moment. When you cross the street with your child, remind her how you rolled the playdough from side to side. Remind her that when you cross the street, you look both ways (side to side) before crossing. You are applying what your child learned in an art project to basic safety! Let the child copy what you are doing and ask her to tell you what it is she is doing. You can keep on stringing pasta alongside your child, explaining what you are doing. This is a great way to learn words like in, on, into, and through. 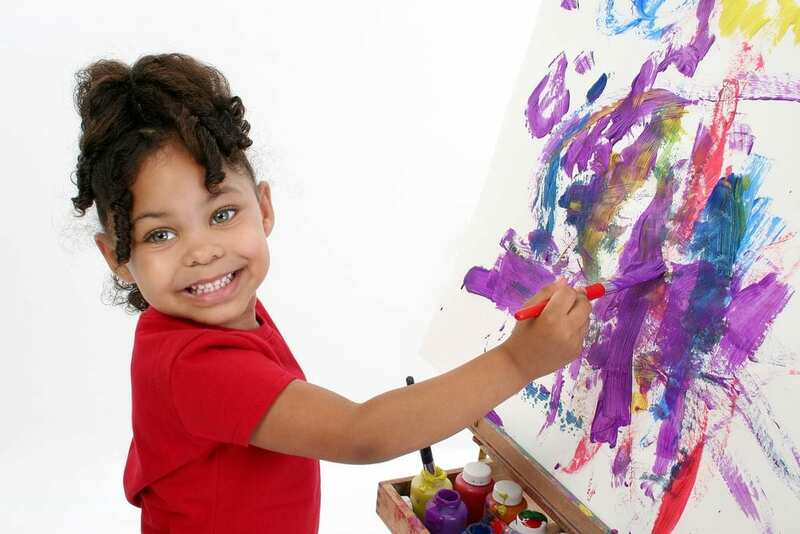 You can emphasize these same words when giving directions during the course of the week, “Put your hat on your head,” or, ” Put your hat on the hook.” What a great way to apply what your child learned during a fun art lesson with you! The same sorts of concepts can be learned during drawing and painting time, too. “Where will we put the sun?” you might ask your child, when drawing or painting a picture. When a child paints a picture, there’s something real to show for her efforts. That’s part of the fun. Of course, if you are using art to teach these important concepts, you will likely end up with lots of artwork you want to preserve so you and your child can look back at the memories you’ve created together. But artwork can take up a lot of precious space. Parents may find themselves picking and choosing what they will keep and what they will have to throw away, for want of storage room. That’s where Shutterfly comes in. Shutterfly knows you don’t want to have to pick and choose which beloved children’s artworks to save and which to toss, so they’ve created a guide called Mini Monets: Turning Children’s Art into Keepsakes at Every Age. The guide went live November 3, and offers parents all sorts of creative ideas to turn art projects and crafts into keepsakes for the long term. The guide also helps parents understand how art can help children of all ages (even teens!) develop their minds and bodies. This guide has some wonderful ideas and it’s all out there for free. Shutterfly sought advice from bloggers and experts in both DIY and home design on practical tips for preserving children’s art both for decorating the home and as useful home items. Finally, Shutterfly partnered with the knowledgeable people at FamilyEducation, to show parents all the educational benefits to creating art, at various ages. The guide is short, sweet, and punchy, and every parent should definitely bookmark it for future reference. There is something for everyone in this great art guide! Your kids won’t even know they’re learning. Next Next post: What is Positive Parenting and Why is it Better than What Our Parents did?